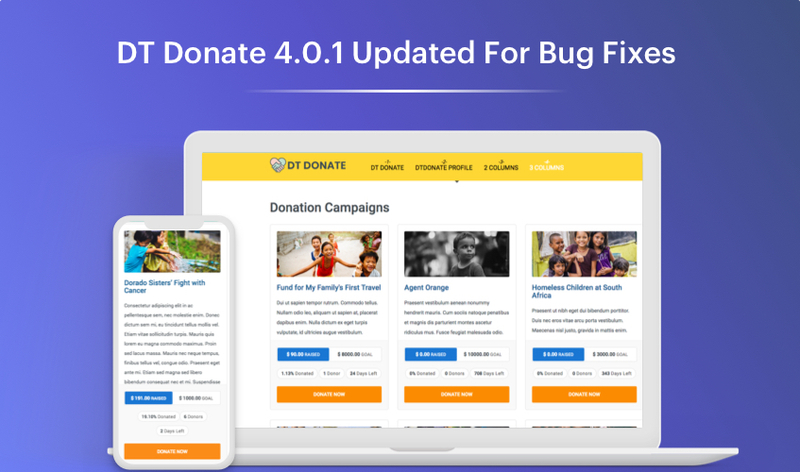 DT Donate 4 Joomla donation extension stable was released with major updates, amazing new features, responsive design and more. 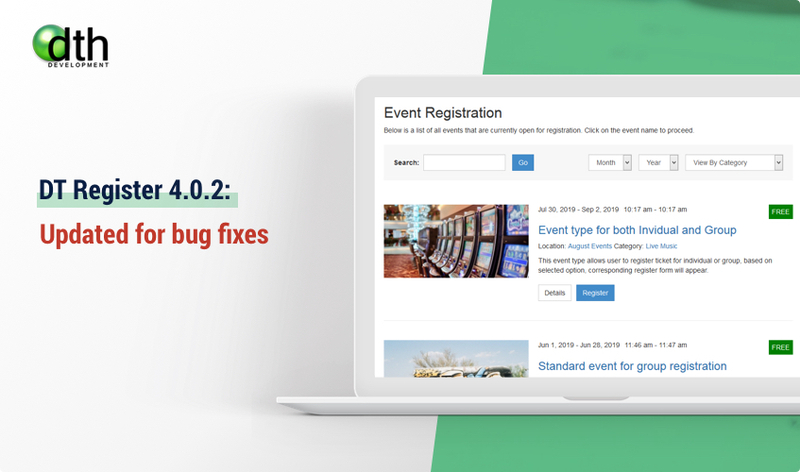 This week, we are releasing DT Donate 4.0.1 update for bug fixes. Finally, after 2 months of development, DT Donate 4.0 Stable version is now available for download. 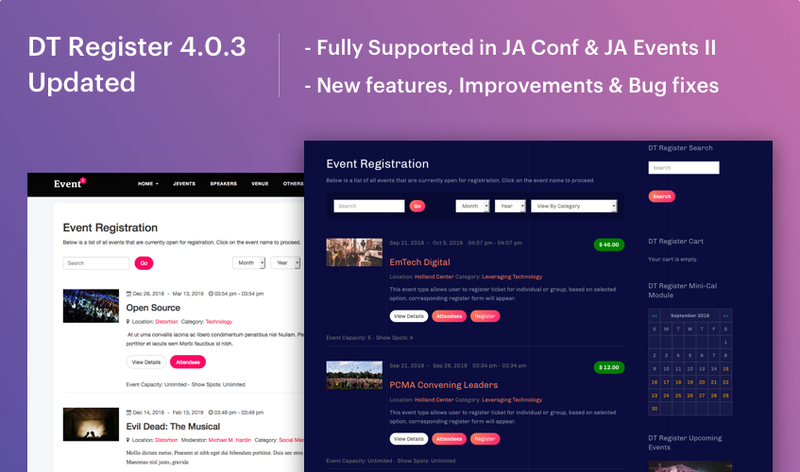 The new version of the leading donation extension for Joomla comes with many new features, major updates: donation campaign management, 40+ popular payment gateways supports, responsive design, improved UI/UX, onepage donation, 2 more modules added and more. DT Donate 4.0 quickstart available with JA Charity template bonus. DT Donate 4.0 is major updates with lots of new features and huge updates on codebase plus structure and especially new payment gateways system that is integrated with JA Payment Gateways plugin that is based on Omnipay platform and will supports 40+ popular payment gateways. 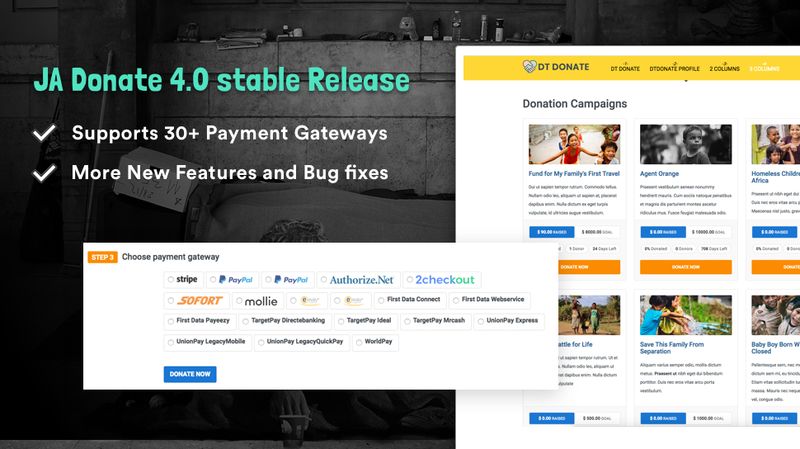 Today, we are releasing DT Donate 4.0 alpha for 5 more payment gateways supprt and 18 bug fixes. Note: this preview release is FREE and for testing purpose, DO NOT use it for your project.